A Supreme Court of Queensland committee has recommended a pilot program for the broadcasting of some sentencing remarks and appeal hearings and the appointment of a court information officer. 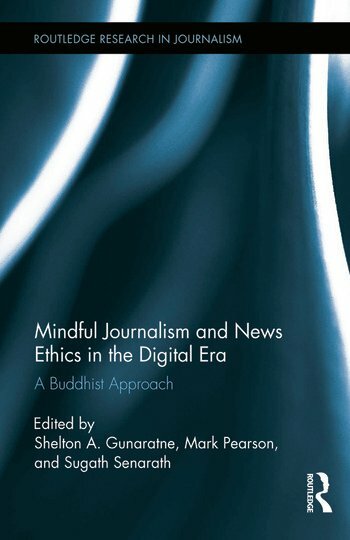 The Electronic Publication of Court Proceedings: Report – April 2016 was released this month, the result of eight months of deliberations by five Supreme Court justices (chaired by Justice Margaret McMurdo, President of the Court of Appeal), with input from a further two District Court judges. The report followed the release of an Issues Paper on the topic in June 2015 and the consideration of public submissions, including one from yours truly, which I detailed in an earlier blog. 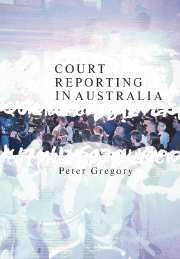 The latest report reviews practices in other Australian jurisdictions and internationally. It stems from media requests to film the sentencing remarks in the trial of Brett Peter Cowan for the murder of school boy Daniel Morcombe. No standard procedures existed in Queensland to film sentencing remarks and the court was rare among Australian jurisdictions in that it had no designated information officer to assist in making arrangements. The delay deemed necessary to make suitable arrangements was one of the reasons that the application to film the judge’s sentencing remarks was refused. As a result of the report’s findings, the courts will develop a pilot program for broadcasting of sentencing remarks and appeal hearings. The committee noted that most respondents were concerned about the risk that recording and broadcasting witnesses and others in court would compromise the administration of justice. As with similar reviews in other countries, the report does not favour broadcasting of witnesses’ evidence. However, the option will remain open for the judge in a particular case to allow the evidence of witnesses to be broadcast, with special consideration given to the position of victims and vulnerable witnesses. The pilot program will require the development of suitable Practice Directions, logistical arrangements and guidelines to assist the judges and the media. Guidelines will address matters such as the exclusion of certain categories of cases and the location and field of view of cameras. The decision on whether to allow the recording of sentencing remarks will remain the decision of the presiding judge in each case. the appointment of a Court Information Officer to assist the Supreme Court and the District Court in better informing and educating the public about the courts and the justice system. When appointed, the officer will be responsible for the development of guidelines for the recording and publication of court proceedings, paving the way for the pilot program to start. My own submission called for the installation of webcams in all courtrooms to allow as much public access to court proceedings as possible so that citizens could ‘virtually’ visit a courtroom just as easily as they might attend physically. It suggested that, just as all citizens might wander randomly into a public court in session in the Supreme Court building, citizens should be able to tune in online to those same proceedings from the comfort and convenience of a remote location. 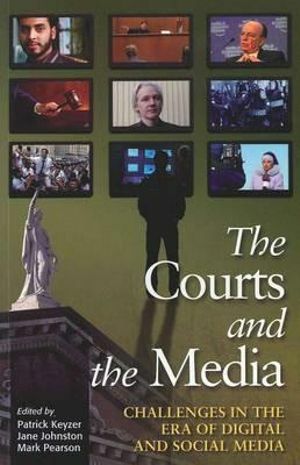 My own view is that recording more generally in society has become ubiquitous and that its potential to impact on judges and potential witnesses would be minimal given a. the extent to which people realise their words and behaviour are now being recorded in all walks of life; and b. the fact that wholesale livestreaming of all courts would be accommodated as a basic procedure – just an accepted facet of what is done there. 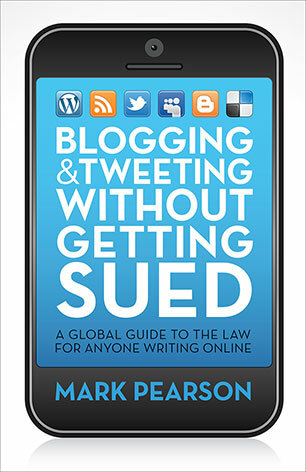 “Professor Pearson and others have advocated the introduction of a system whereby proceedings which are held in open court are recorded on webcams that are installed in all courtrooms and live-streamed. A variation on this is for the court to have its own dedicated internet channel for live-streaming. It may be argued that, with new and relatively inexpensive technology to record and live-stream proceedings, all proceedings should be live-streamed. This simply would enable members of the public to view what would be seen by them if they exercised their right to attend a proceeding in open court. It may be relatively inexpensive to install webcams in most courtrooms showing the judge and to live-stream the images from this single camera angle to a designated court website which citizens can access. However, such a system would not regulate what was to be broadcast. Guidelines and procedures, and judges and court staff in individual cases, would need to address the evidence of witnesses, including vulnerable witnesses, which may be affected by the knowledge that what they say is being broadcast to the world. Any new system would need to control the transmission of certain evidence to the general public, including the identity of victims and children whose identification is subject to statutory prohibitions. It also would need to control the broadcasting of the horrendous details of certain crimes. Monitoring the recording and transmission of evidence under a system which live-streamed all proceedings in all courtrooms would entail a very substantial cost to the community. Memo to: Benjamin Ismail, Bureau Asie-Pacifique, Reporters sans frontiers (RSF – Reporters Without Borders), Paris. I regret to advise that several events and policy proposals have impacted negatively on the state of media freedom in Australia. They are highly likely to threaten Australia’s ranking on your forthcoming RSF World Press Freedom Index. A raft of new laws and policies proposed by the conservative Abbott Government has placed its stamp on media law and free and open public commentary. 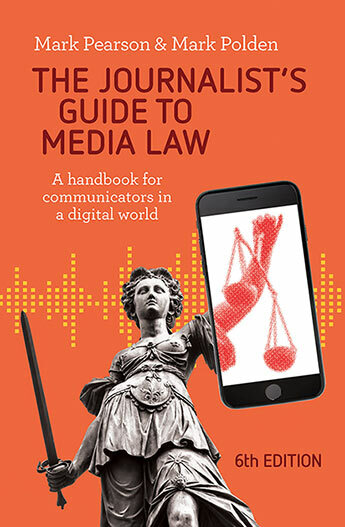 The initiatives follow in the steps of the prior Labor Government that had proposed a new media regulatory regime with potentially crippling obligations under the Privacy Act. – proposed new laws reversing the onus of proof about the purpose of their journey for anyone, including journalists, travelling to Syria or Iraq. Major media groups have expressed their alarm at the national security proposals in a joint submission stating that the new surveillance powers and measures against whistleblowers would represent an affront to a free press. Over the same period the judiciary has presided over the jailing of a journalist for breaching a suppression order, the conviction of a blogger for another breach, and several instances of journalists facing contempt charges over refusal to reveal their sources. There have also been numerous suppression orders issued, including this one over a Victorian gangland trial. Other disturbing signs have been actions by police and departmental chiefs to intimidate journalists and media outlets. The Australian Federal Police raided the Seven Network headquarters in Sydney in February, purportedly in search of evidence of chequebook journalism, triggering an official apology this week. Defence Chief General David Hurley wrote to newly elected Palmer United Party Senator Jacqui Lambie in March, warning her not to use the media to criticise the military. Freelance journalist Asher Wolf received a threatening letter from the secretary for the Department of Immigration and Border Protection (DIBP) Martin Bowles following her co-written article for the Guardian Australia on February 19, 2014 titled ‘Immigration Department data lapse reveals asylum seekers’ personal details.’ The public service mandarin’s letter implied Wolf had obtained the material on which the article was based by ‘dishonest or unfair means’ and demanded Wolf agree not to publish the contents and ‘return all hard and soft copies of the information’ including any her storage devices. See the letter here: WolfDIBP to The Guardian – A Wolf. The Sydney Morning Herald later reported that the DIBP was hiring private contractors to trawl social media and order pro-asylum seeker activists to remove their protesting posts. I am sure you will agree that these developments are not what we would expect to be unfolding in a Western democracy like Australia where media freedom has previously been at a level respected by the international community. (6 August, 2014). Inquiry into the National Security Legislation Amendment Bill (No. 1) 2014 Submission. Retrieved from: file:///C:/Users/jasmine/Downloads/17.%20Joint%20media%20organisations%20(1).pdf. Criminal Code Act 1995 (Qld) s. 5.4 (Austl.). Grubb, B. (19 August, 2014). Anti-leak spy laws will only target ‘reckless’ journalists: Attorney-General’s office. Retrieved from: http://www.smh.com.au/federal-politics/political-news/antileak-spy-laws-will-only-target-reckless-journalists-attorneygenerals-office-20140818-1059c7.html. Grubb, B. (30 July, 2014). Edward Snowden’s lawyer blasts Australian law that would jail journalists reporting on spy leaks. Retrieved from: http://www.smh.com.au/digital-life/consumer-security/edward-snowdens-lawyer-blasts-australian-law-that-would-jail-journalists-reporting-on-spy-leaks-20140730-zyn95.html. Hopewell, L. (17 July, 2014). New Aussie Security Laws Would Jail Journalists for Reporting on Snowden Style-Leaks. Retrieved from: http://www.gizmodo.com.au/2014/07/new-aussie-security-laws-would-jail-journalists-for-reporting-on-snowden-style-leaks/. Murphy, K. (17 August, 2014). David Leyonhjelm believes security changes restrict ordinary Australians. Retrieved from: http://www.theguardian.com/world/2014/aug/17/david-leyonhjelm-security-changes-restrict-australians. Parliament of Australia (15 August, 2014). Parliamentary Joint Committee on Intelligence and Security, 15/08/2014, National Security Legislation Amendment Bill (No. 1) 2014. Retrieved from: http://parlinfo.aph.gov.au/parlInfo/search/display/display.w3p;adv=yes;db=COMMITTEES;id=committees%2Fcommjnt%2F2066f963-ee87-4000-9816-ebc418b47eb4%2F0002;orderBy=priority,doc_date-rev;query=Dataset%3AcomJoint;rec=0;resCount=Default. The Greens (1 August, 2014). Brandis presumption of terror guilt could trap journalists, aid workers. Retrieved from: http://greens.org.au/node/5617.